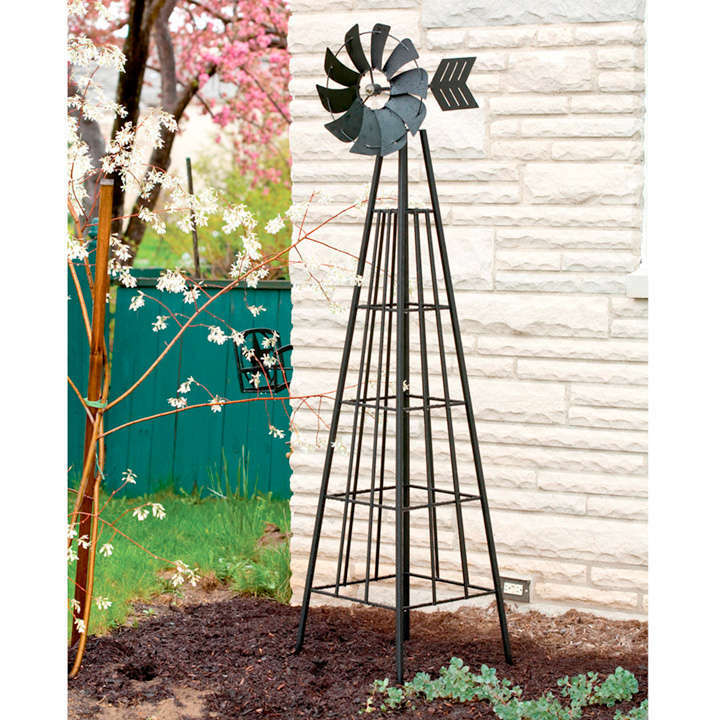 Create a rustic feel in you garden with our windmill obelisk. The four-panelled frame has two long and two short sides, adding a bit of dimension to the piece. Intersecting vertical and horizontal square bars inside each panel help support your plant as it grows. 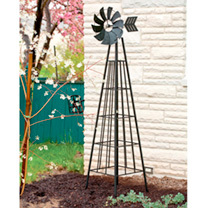 The black finish on the steel structure lends an antique look. Complete with ground stakes to keep it firmly in position. Dimensions: Height 72", Width 18".